This is the site of the old hospital 'Madonna del Soccorso' in San Benedetto del Tronto (via G.Pizzi,14). The hospital was founded on the 9th of November 1843 thanks to the charitable contribution of Padre Gioacchino Pizzi1. It started its healthcare activities in 18532. 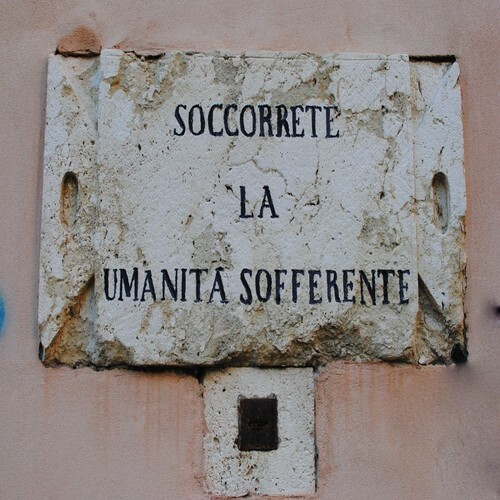 On the front of the hospital there are two granite columns and the Latin inscription 'MARIA SUCCURRE MISERIS AD MDCCCLIII' (Maria, take care of poors 1853). Above the inscription there is a rose window made by Francesco Farnesi in 18533. 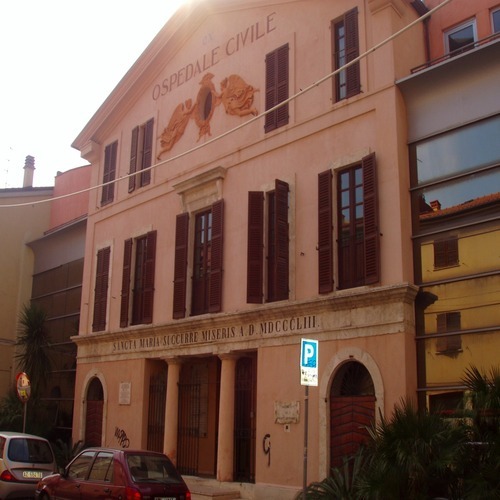 In 1961 the Old hospital moved to the new building in via Silvio Pellico4. 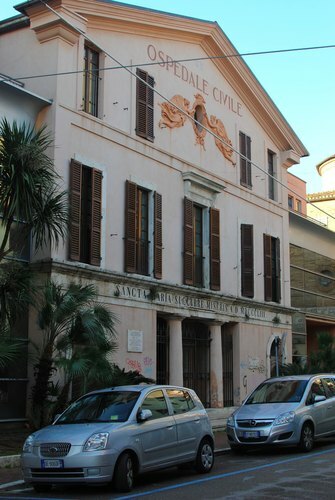 Now this building is used as a junior high school. 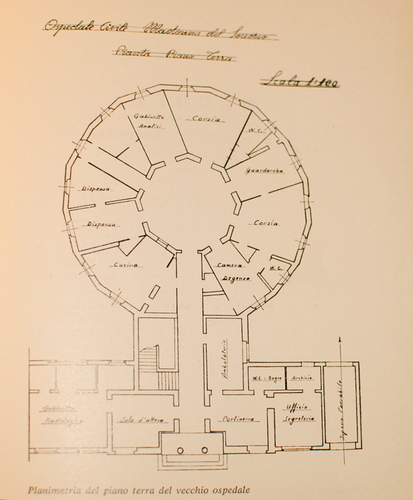 The circle map5 of the hospital shows the functional distribution of the rooms. There was two wards, two utility rooms, a kitchen, two bathrooms, an out-patient clinic and a chemical analytical laboratory. 1. O.Bizzarri 1981, p. 29. 3. O.Bizzarri 1981, p. 13. 4. O.Bizzarri 1981, p. 123. 5. O.Bizzarri 1981, p. 25.